In this generation where almost everything is done online, it’s no wonder why selling, advertising, transacting etc. is being done via the internet. One way to get your blog, online shop, or content out there is through the help of SEO or search engine optimization. But, do you know enough about SEO? 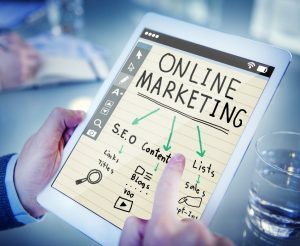 This article will provide 10 facts every person in the online business must know about the humble SEO or search engine optimization. Looking for an SEO company to help you? Let Guardian Owl Management manage you. Click here to begin. For an online nomad, SEO is not a foreign word, but let me define it for you. SEO or search engine optimization is a marketing discipline which focuses on growing the visibility of a certain website, online business, etc. in non paid search engine results. Examples of search engines are Google, Yahoo, and Bing, to name a few. Search engine optimization encompasses two elements; the technical and the creative. These two elements are essential in order to improve a website’s drive traffic, ranking, and awareness in these search engines. The content of your website should be optimized enough so that it will rank higher in the search engines, thus allowing more users to interact with your website. SEO is really important nowadays if you want to constantly improve your business or content in the various search engines. Here are the ten facts you must know in order to boost your search engine optimization knowledge and to help you in your SEO needs. We all know how slow loading pages annoy us, but it can also affect your Search Engine Optimization. The speed of your page is a search ranking factor and it affects the ranking of your page or website in certain search engines. Search engines nowadays have begun to include social media as a factor in the results people see. Google+ is the highest correlated factor to SEO. 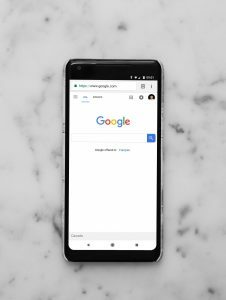 If you connect your page or site to a Google+ account, more people will see your page or site in their search engine results. The way search engines index your website is through the content on your site. Focus on constantly improving and delivering high quality content for your website in order to increase your traffic and your ranking. Google accounts for 81% of all global desktop search traffic globally. 7% from Bing, 5.8% from Baidu, and 4.7% from Yahoo. The relationship between an SEO and an online business is more than just numbers. In order for it to be successful, SEO must go beyond the boundary of knowing the facts and figures. Since a majority of the population use search engines, make sure that your content and sites are optimized to the highest extent to attract traffic. Though this is not a general rule, Google will usually find the home page first. After content, page titles are the most important on page elements. Make sure that you exert as much effort into page titles the same way as content. Some make the mistake of not linking to other relevant websites because it takes people off from their page but it’s actually the other way around. Linking remains an essential part of SEO strategy. Focus on keywords because only the top 5 get 75% of the results. Continue striving to be the best and improving your SEO.